Their 1st Holy Communion and Confirmation is a very special sacrament that happens only once in a child’s life. We have some beautiful one-of-a-kind gifts that you will love to give to a child and they will love to receive! Print onto a Canvas, as a Poster Print or in one of our beautiful Photo Frames. Our photo collages come in every shape and size. 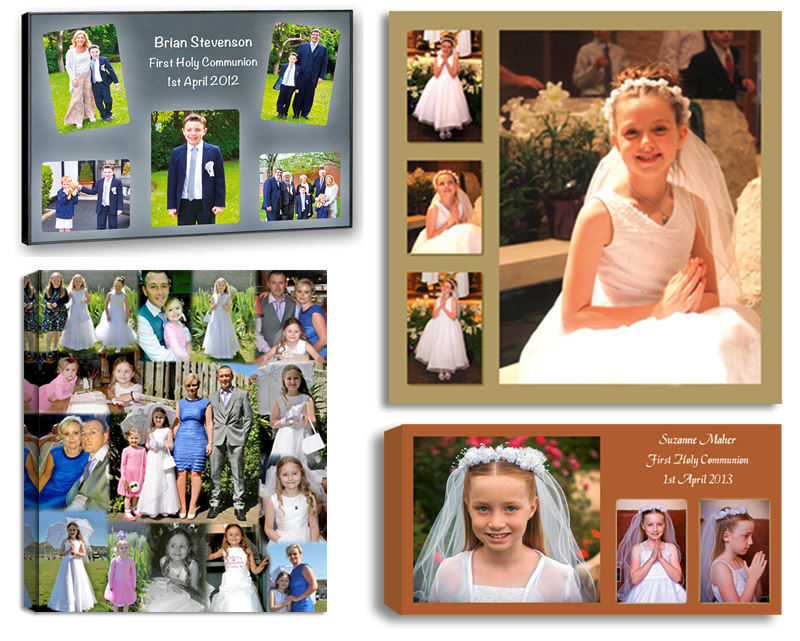 We don’t fit your photos into a template, we design each one individually just for you. We are here to help so please contact us if you need any help advice choosing sizes, amount of photos etc. Designing & Printing Photo Collages for Customers Nationwide via • Our Shop • Phone • Email • Facebook • Post.